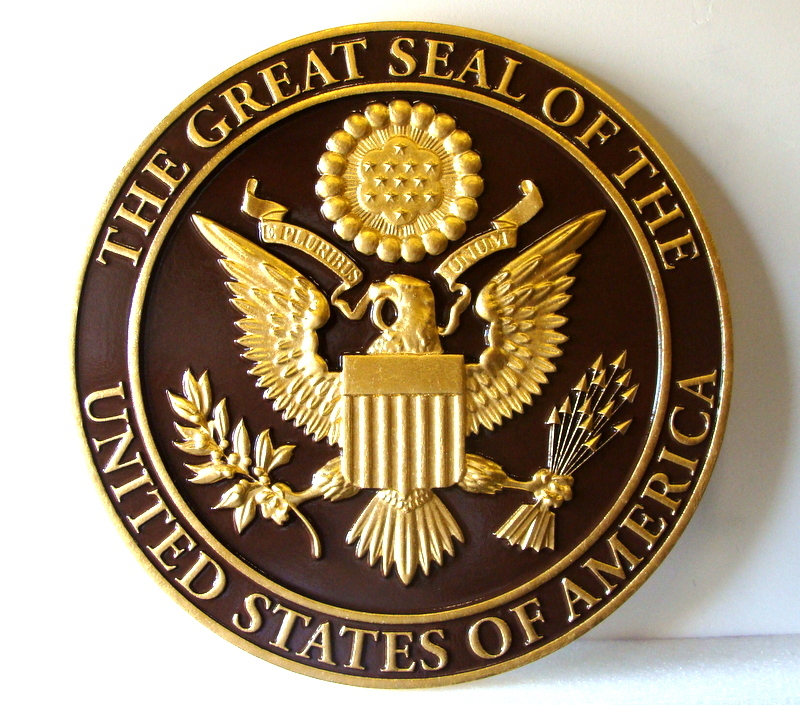 Shown above is a 24K gold-leaf gilded 3D bas-relief carved high-density-urethane wall plaque of the Great Seal of the USA. The background is painted a rich brown and the eagle is gold leaf gilded by hand by an artisan. It was then given two coats of gold leaf clear-coat.